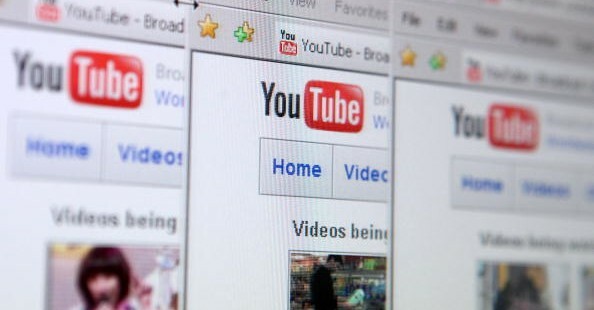 YouTube is the most popular video site on the internet, and in recent years has become a way for YouTube enthusiasts to make a living from the videos they create. While YouTube officially declines to comment on how much money YouTube users earn on average, partly because advertiser demand varies for different types of videos, according to YouTube spokesman Aaron Zamost, “hundreds of YouTube partners are making thousands of dollars a month.” And hit YouTube videos can earn a lot. For instance, the hit ‘Gangnam Style‘ made approximately $870,000 on YouTube alone. However, when you have a complete production studio, unlimited marketing and are featured on every hit radio and TV station around, you can expect to see results such as this. What about homemade videos? Can someone simply make a video at home and see some real profit from it? The answer is yes. Remember the viral video "Charlie bit my finger?" The creators of the video walked away with a cool $158,560. Not bad for a single homemade video! And another user that found fame on YouTube eventually signed a deal with HBO. So how does it work? It's all about the ads. Each time a video is aired, an ad is shown. For every view the ad receives, YouTube receives money. A portion of that money is paid to the video creator. While earnings vary depending on the type of video, a typical YouTube video receives $5-7 per every 1,000 views. For 10,000 views, that's about $50-70. Or $500-700 for 100,000 views. And if you can get the coveted 1,000,000 views, you could make between $5,000-7,000. Create a plan: Design videos with a specific purpose in mind. There are three considerations that should be examined when creating a video:What types of emotions should the video evoke from the viewers? What is the target audience to which the video will appeal? What actions do you want the viewer to take after watching the video? Call to action: Every video should employ some type of call to action. This is an action that you want the viewer to take at some point during the video. Typically, a call to action gets the viewer to click on a link in order to sign up for services, learn more about a product or service, or make a purchase. Lead capture: Set up a lead capture in order to get more information about your viewers. For instance, you can add a form that asks the viewer to add their email address in order to watch the video. Build your audience: Post your videos (and links to your videos and channel) on multiple websites, blogs, forums, social networks and other areas that will gain viewers. SEO: Videos are perfect for SEO. The best areas are the video title, description and transcripts, as these textual areas are all picked up by the Google robots. Posting videos (and descriptions) on multiple platforms (such as websites, forums, social networks, etc.) is the perfect way to get additional SEO. Analyze and revise: Performing analysis on the video results can give excellent insight on future content. Future videos can be revised or tweaked in order to compensate in areas that did not perform well, while other areas that did perform well can remain unchanged. Once you have a video that is rising in popularity, don't just sit back and hope that the views keep coming. If that happens, great, but when your video is peaking, that is the time to really push marketing. The more views your video receives, the more earnings. And just maybe yours will be the next big hit! I would like to consider the ability of saying thanks to you for that professional guidance I have enjoyed checking out your site. We are looking forward to the commencement of my college research and the entire prep would never have been complete without dropping by your web blog. If I could be of any help to others, I might be glad to help via what I have learned from here.